Are you ready for Andrew McMahon in the Wilderness?? That’s right, the phenomenal indie-rock songwriter is about to hit the road with his exciting upcoming album, “Upside Down Flowers”. Coming to the Stage Ae live on Sunday 24th February 2019! If you live in Pittsburgh, you can’t miss it – if you live elsewhere, make the trip in – we can promise it’ll be worth it!! Watch the video for “Teenage Rockstars,” below – but don’t wait about too long to get tickets! 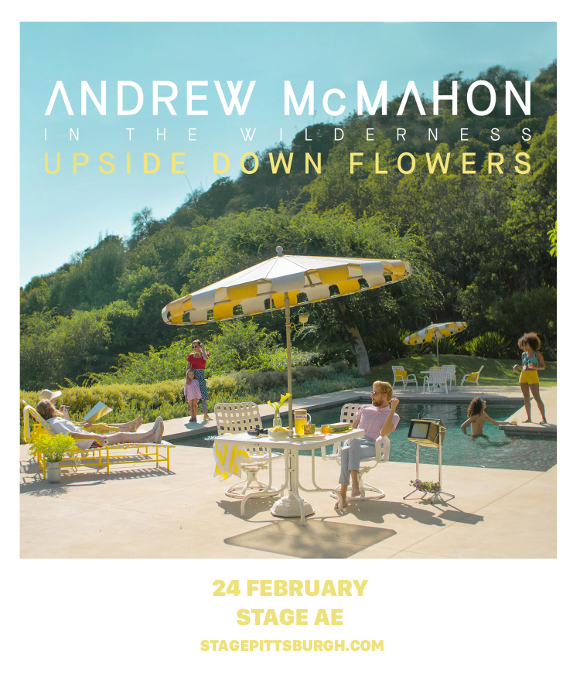 Book your space at the Andrew McMahon in the Wilderness concert NOW while you still have the chance! !